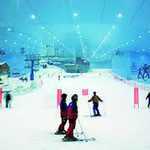 Discover Ski Dubai, the first indoor ski resort in the Middle East! An amazing mountain-themed wintery setting where you can enjoy skiing, snowboarding, tobogganing, take part in many snow events and meet and play with Ski Dubai's newest residents; the Snow Penguins! 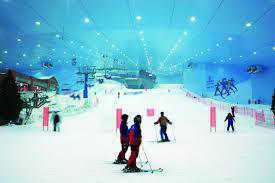 Ski Dubai is located in Mall of the Emirates. Experience rolling down the Giant Ball run, jumping a 10ft. ramp, spiraling down the tube slides, sightseeing in the chairlift or just relaxing over a hot chocolate at minus 4 degrees. 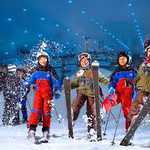 Pick up is done from given locations of dubai/ hotel.Once you reach Ski Dubai, which is located in Mall Of Emirates, which has themed winter setting with a temperature maintained at a comfortable -1 to -2 degree. Here you can enjoy skiing, snowboarding, tobogganing hills, a bobsled ride, tubing and a cavern filled with interactive experiences and amazing sights and sound. Have fun building a snow man with your family; You can also enjoy your food at a themed restaurant called St. Moritz café at the entrance and Avalanche Café at mid station with views of the slope. Booking can be made through our website and prices include regular passes for entry to the snow park. The online payment system is available for your convenience and activities are suitable for all ages. Cancellation charges are applicable and seating is based on availability. Child rates are applicable to 3 year old and up to and including 12 year old. 13 year and above are charged adult rate. They need to present proof of age.